How about this for a sense of decadent , all-natural indulgence? Personalised & Handcrafted Soaps, Butters, Scrubs and Creams made from the purest home-grown herbs and ingredients , personally hand-made and cured by the founder herself. No preservatives, artificial additives , colours , processes etc. Just luscious ingredients, good enough to eat. 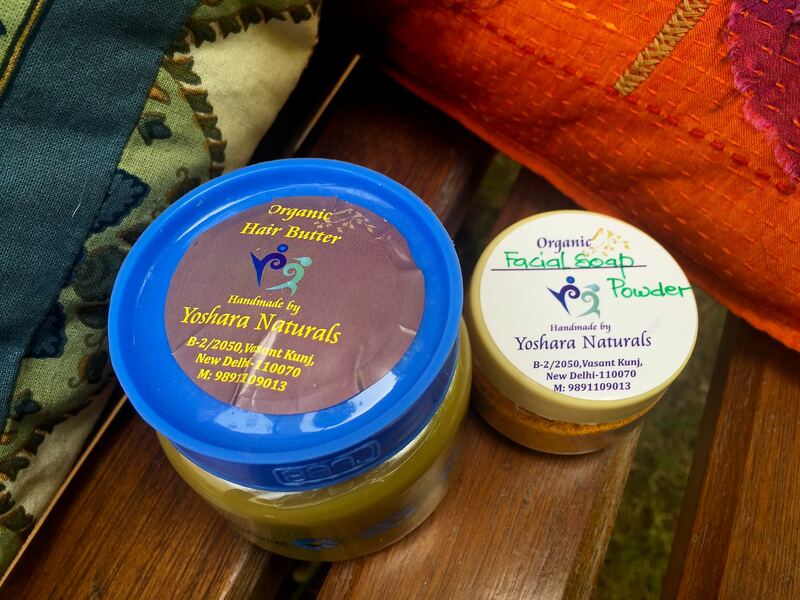 Yoshara Naturals by Nandini Kumar, is a home-based skin and body care brand that promises a clean, all-natural experience with products that have zero processing , preservatives etc. 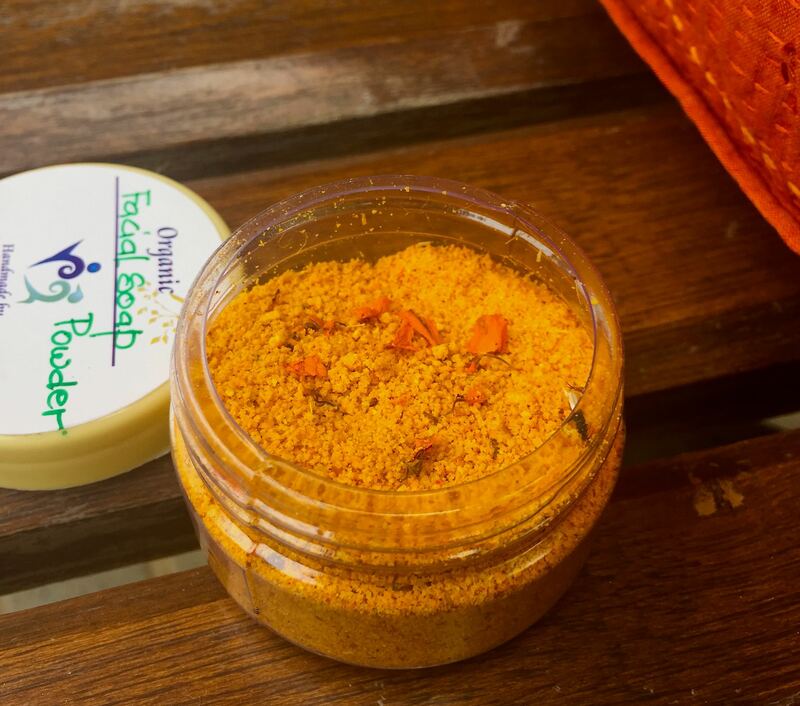 So much so that Nandini explains that “I cannot get my products delivered through couriers as the heat would spoil them, and my clients do not mind coming over to pick up their preparations.” Most of the herbs used in the products are grown by her personally in her own herb-garden. This ensures ingredients as fresh as they can get! I have been using Yoshara products for a while and let’s just say am in ♥ with them! My two current favourites are the Hair Butter and the Facial Soap Powder. Here’s a luscious review of both! Modern day Rapunzels don’t have it easy. Pollution, grime, chemical treatments, hard water, stress – its all coming together these days and wreaking havoc on one’s crowning glory. The result is distressed tresses! This Hair Butter is my go-to product to calm them locks with a soothing and nourishing effect. 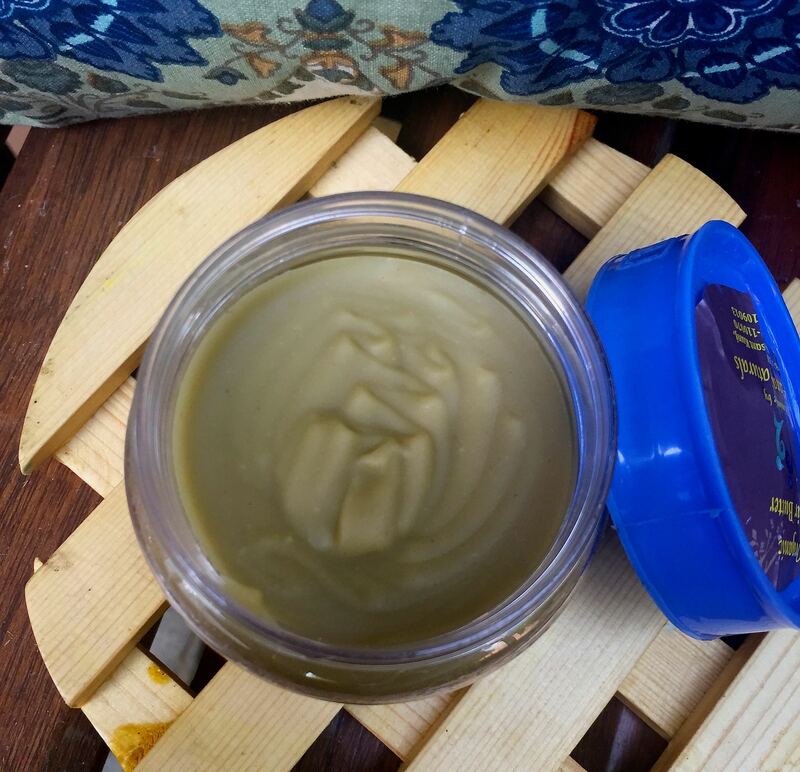 The Hair Butter is a butte-ry preparation of multiple hair loving herbs & as per Nandini, it helps prevent hairfall and scalp dryness , while giving the hair a natural shine. I prefer it over oiling because its consistency has a very luxurious , smooth feel to it and the happy-hair mix of herbs that not just deeply moisturise and nourish but also have a soothing, calming effect because of the natural fragrances. The product is available in a jar. To use, scoop a dollop of the butter and run it down the hair from root to tip. Quantity depends on the length and thickness of your hair. You can keep it on for as long as you like. Love the fragrance and smooth texture – a bonus to the already precious mix of luscious , pure ingredients. ‘Interesting’ is the first word that came to my mind when I first used it. The product comes as soft granules of ‘soap’ made from various oils and herbs , without any additives or surfactants. That is, it cleanses gently without any foaming effect while leaving the skin squeaky clean without post-wash dryness! ♥ again! Rinse your face with water, scoop some of the powder and scrub across your face. Rinse again and pat dry. 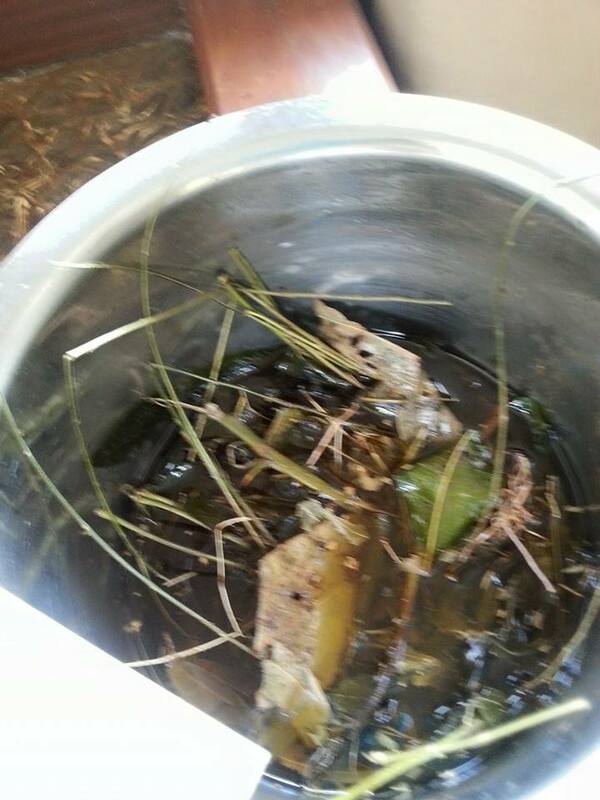 Cleanses and leaves the skin moisturised. Generally, my skin tends to feel dry after using any foam based cleanser. So I prefer using Jojoba Oil for removing makeup / grime (rub across & rinse it out with water). This soap powder, with its all natural ingredients is making for a good summer cleanse routine. 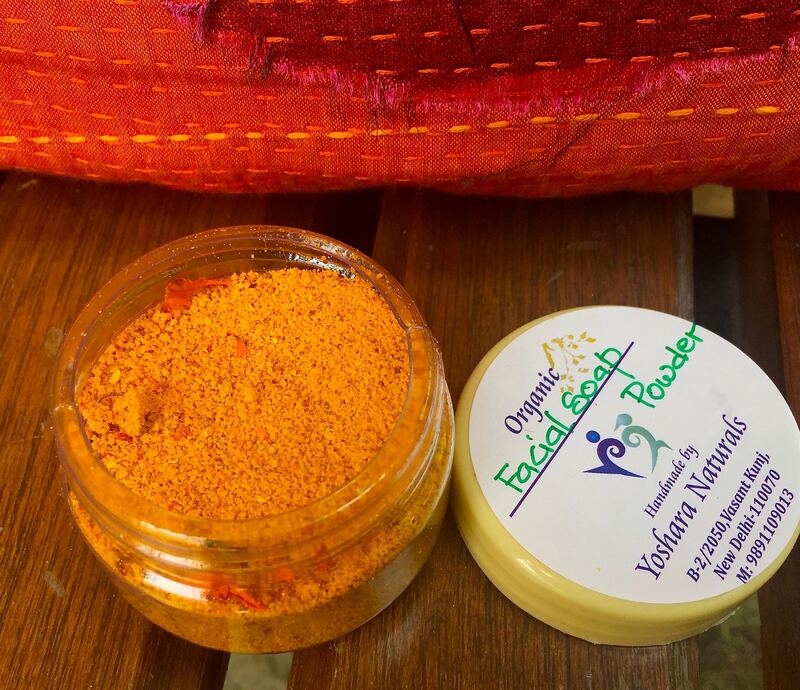 Turmeric and Marigold add a dash of glow to the skin! To know about the entire range and for a one-to-one with Nandini Kumar, call her at 9891109013. Products need to be collected from her residence B-2/2050, Vasant Kunj, New Delhi – 110070.